Inaugural event allows an opportunity for those who have lost their mother to heal together. 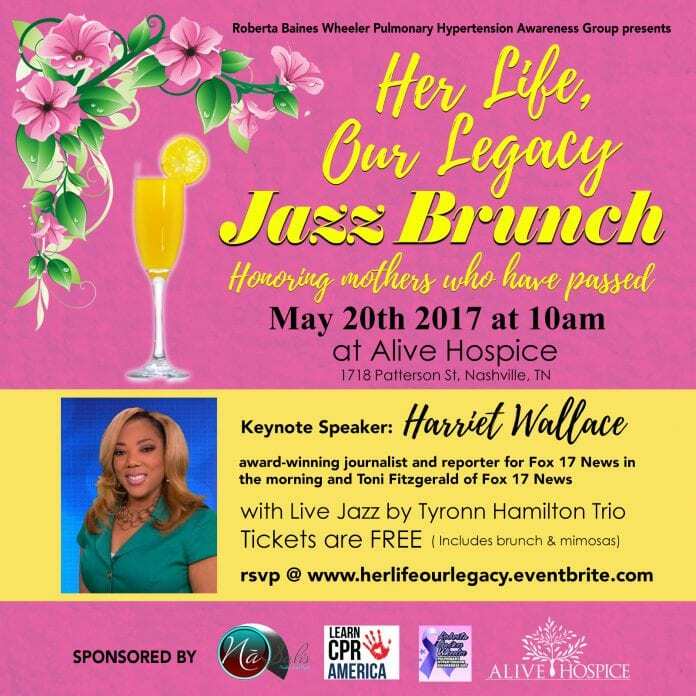 Nashville, Tenn. – Roberta Baines Wheeler Pulmonary Hypertension Awareness Group (RBW) is hosting its inaugural “Her Life Our Legacy Jazz Brunch” May 20, 2017 at Alive Hospice located at 1718 Patterson Street, Nashville, TN. This special event was planned to help those who are mourning the loss of their mother have a positive outlet and a day to celebrate their parent’s life. 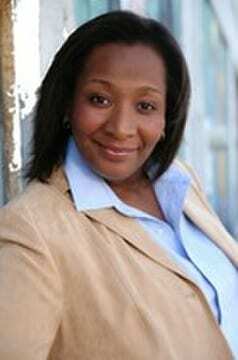 RBW Executive Director, Dr. Katherine Y. Brown, along Angela Mitchell Hill, Tammy Hines, Luvenia Harrison, and Allyson Young, found that Mother’s Day has a different meaning after the loss of a mother. They found that it is an important part of the healing process to come together and honor the legacy of their mothers with the community. The event includes brunch, mimosas, live jazz by the Tyronn Hamilton Trio, and remarks from Fox 17 News reporter Toni Fitzgerald. 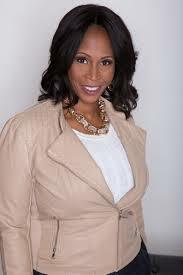 Award-winning journalist of Fox 17 News Harriet Wallace will be delivering the keynote address. The itinerary for the day includes a Butterfly Release, the “Her Life, Our Legacy” brunch, and a Rose Ceremony Tribute. “Her Life, Our Legacy” Jazz Brunch is free to the community. To register to attend please visit www.herlifeourlegacy.eventbrite.com. To have one’s mother’s name included in the Rose Ceremony Tribute please email her information to RBWPHAwarenessday@yahoo.com. The Roberta Baines Wheeler Pulmonary Hypertension Awareness Group is an organization of volunteers, pulmonary hypertension (PH) patients, caregivers, families and medical professionals dedicated to providing health education, early detection and PH awareness to the community. The group is a 501(c)(3) nonprofit organization dedicated to increase PH awareness and providing health education through their free annual RBW Pulmonary Awareness Day and their Mobile Health Unit. To learn more visit www.fightph.com. NáSah’s Nail Salon is a progressive and thriving full service Spa located inside of the Bustling Nashville International Airport. We provide Innovative Spa Services for travelers all over the world. Our salon specializes in the newest trends in Manicuring, Esthetics, and Hair Cutting & Styling. Our mission is to pamper each customer and ensure that you leave the salon feeling, looking and being better than you were when you arrived Our motto is Got 20 Minutes? Why Not a Manicure? To learn more visit www.nasahs.com.